The highest range of Blunt scooters. 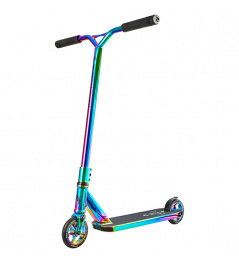 This scooter has everything a freestyle scooter should have. 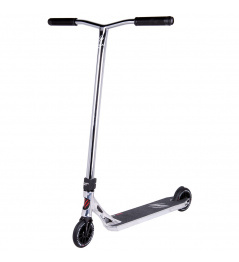 A great advantage of this scooter is the weight, the size of the wheels and the width of the board, the trek will please not just one demanding rider. 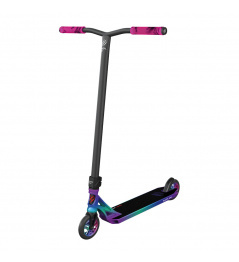 The scooter has aluminum handlebars that are light and spinning the barspins will go like nothing! 120 mm castors are fast, great for big jumps. Grips are soft and comfortable to touch. Another super detail is that the wheels are shining in the dark! You do not have to worry about bubbles! Excellent night-time streets! We recommend to all narrated riders who like the quality of the components. 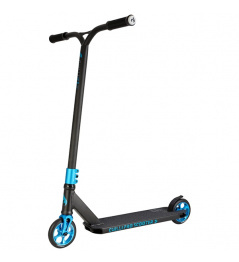 0 Review "Blunt KOS Charge S5 freestyle scooter"